We all realize that daily cooking and household cleaning are big jobs to handle, but imagine how hard they would be without the use of our appliances! Our appliances are hard-working machines and without them maintaining the house and keeping up with daily chores could be just about impossible. That’s why taking care of your appliances and seeking appliance repair service at the first hint of a problem is crucial. Prompt servicing will help you to maintain all the modern conveniences that you have become accustomed to in your home. At Clyde the Appliance Guy, we know that your time and money are valuable and we respect that. We believe that appliance repair shouldn’t cost an arm and a leg and you shouldn’t have to set aside a whole day waiting for your repair to happen. We offer fair pricing that won’t break the bank, making your repairs more affordable. 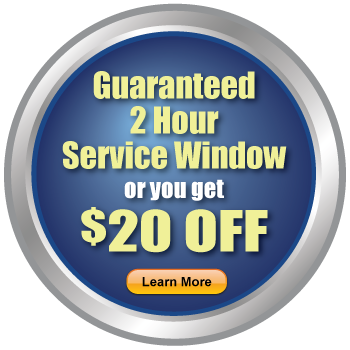 We also designate a specific 2 hour window for our appliance repair service and we stick to it. If something comes up and we miss the timing, you save $20 on your repair work. How many other companies can say that? For expert help with major appliance repair in the south suburbs of Chicago, call the experienced professionals at Clyde the Appliance Guy. 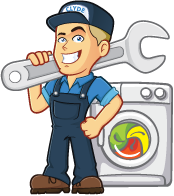 Clyde has the knowledge, experience and skills to troubleshoot your appliance issue, pinpoint the source of the problem, and implement the appropriate repair so that you can get back in business fast. Our appliance repair experts can fix all major appliances. If any of your household appliances are performing poorly, call Clyde the Appliance Guy today for quality appliance repair services. 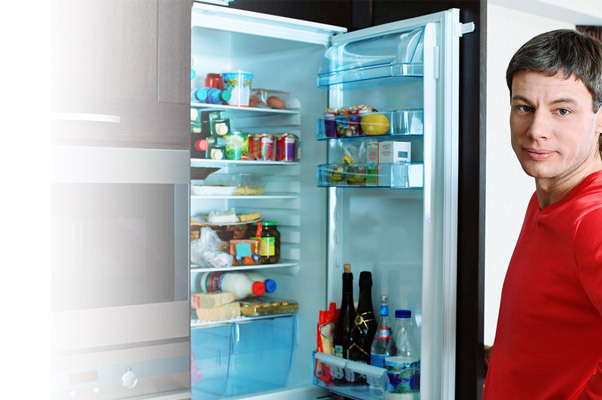 Our appliance repair specialists provide a wide range of services. From dishwashers to dryers, we work on all types of appliances and even repair appliances that many other companies won’t work on, such as garbage disposals and microwaves. If you have an appliance that is not working properly or has stopped working altogether, Clyde can fix your problem quickly and completely. If it can be found in a typical kitchen or laundry room, we provide expert appliance repair Frankfort residents can rely on. Call us today! Why Choose Clyde the Appliance Guy? Over 25 years of expert appliance repair service to all of Chicago’s south suburbs. Whether your refrigerator is failing, your washing machine has you worried, or you are in need of other major appliance repair services, don’t wait any longer. Clyde the Appliance Guy has the knowledge and expertise to take care of your appliance problems – big and small. With over 25 years of experience in the appliance repair field, you can trust Clyde the Appliance Guy to fix your appliance quickly and completely. Located in Mokena, IL, Clyde the Appliance Guy provides expert and affordable appliance repair services to all the surrounding communities, including Mokena, New Lenox, Frankfort, Joliet, Tinley Park, and Orland Park. Our professionals are available to answer your questions, provide free estimates, and schedule an on-site consultation and/or repair. Clyde the Appliance Guy is also available to provide 24-hour emergency appliance repair services. All I can say is Great Service, On-Time and Professional. We called Clyde to come out and repair our 23 year old dryer. We thought we were going to have to replace it. IIt was taking so long for our clothes to dry. Clyde inspected it and let us know that the vent just needed to be cleaned out. He was so reasonable that we had him clean the coils on the back of our refrigerator as well. It’s good to know that there are still honest, ethical people in the world. Thanks again Clyde! Clyde helped one of our “very frustratred” customers get their dryer working property. All it really needed was a good cleaning. Clyde explained that dryers and their vents should be cleaned every couple years for top performance. Clyde the appliance guy is very knowledgeable and his pricing is very budget friendly, I will certainly refer him to all my neighbors in the Alsip Community. Because Clyde was going out of town for 5 days, he came to my home at 10:30PM to repair my washer. Since I have three small children, he wanted to make sure it was fixed quickly (and quietly too). Will be recommending Clyde to friends and family! Clyde has been to my house to fix microwave & oven both times very prompt, fixed right away and very professional will recommend to my friends. We called Clyde the appliance guy the morning after our oven went out. He was at our house by the afternoon and knew exactly what the problem was and fixed it. We are so happy with his prompt service, courteousness, and his knowledge. Thanks, Clyde! Clyde the Appliance Guy solved an issue with our 8 year old refrigerator in one trip that the warranty service person couldn’t in 3 attempts. Clyde is Prompt, efficient, honest and affordable. I called Clyde because my ice maker was not working on my refrigerator, within days I had ice again and a happy family. My kitchen was left in great condition and I would not hesitate to recommend Clyde to anyone!